This tool (built into XP, Vista, and Win7) lets you see, in real time and in collected data logs, how your PC reacts as different programs run — or fail to run! In Part 1 of “Exploring Windows’ Administrative Tools” (May 10 Top Story), you saw how a few easy tweaks can give you two-click access to hundreds of Windows’ most powerful diagnostic, tuning, and administrative features. In this installment, we’ll explore one of the most powerful of these tools — Performance Monitor. In an admin-level account, click Start, type perfmon in the Start Menu’s search box, and press Enter. 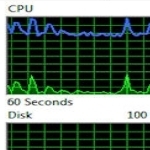 Figure 1 shows Performance Monitor’s initial dialog box in Windows 7. Figure 1. Like the proverbial iceberg's tip, Performance Monitor's initial dialog only hints at what lies beneath. Because most Windows Secrets readers are now using Windows 7, I’ll focus on its Performance Monitor. But Vista’s version is nearly identical and XP’s is similar, though simpler. I’ll also include abundant links for additional general and version-specific information at the end of this article. Windows Secrets Microsoft Windows resources. permalink.